The other morning I was walking home from the gym, strolling through Pike Place Market. It was early, and I realized that the market I was seeing was a far cry from the market that most tourists, and even locals, usually see. In the middle of the day, rain or shine (yes, it really does happen) Pike Place is a riot for the senses. The scent of lilies and raw fish, the deep colors of fresh cut blooms, and the sounds of buskers are all part of the experience. That particular day the market was technically open, but it was empty and quiet, and I got a kind of behind-the-scenes peek into what goes in to bringing Seattle's top tourist attraction to life everyday. There are some permanent stalls, but even the fish mongers and the produce people have to pack their products away each night, although their "store fronts" remain in place. 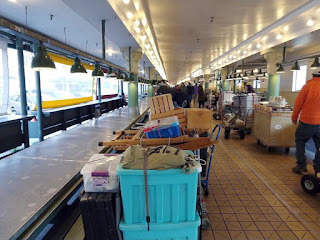 Most of the vendors have to pack away not only their wares, but also their display cases and lighting. At the end of each day, they store everything on pallets with wheels, lock it away in a secure part of the market, and roll it out each morning to begin again. It isn't just the behind-the-scenes at Pike Place that interest me. 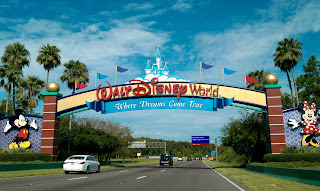 A number of years ago my husband and I sprung for the full-day Backstage Tour at Disney World. We'd been to the park enough times that we were ready to see something new and did we ever. We went into the famous tunnel system under the park, which allows "cast members" to move about without being scene by the general public. We learned that they test carpet samples in the employee buildings to decide which options are most durable. We saw the enormous department dedicated to holiday decorations and were told that the park is always being painted and the light bulbs are always being changed. When they finish, they immediately start again. This tour satisfied my inner organizational freak and changed the way I look at the park forever. Where else would I like to go behind-the-scenes? 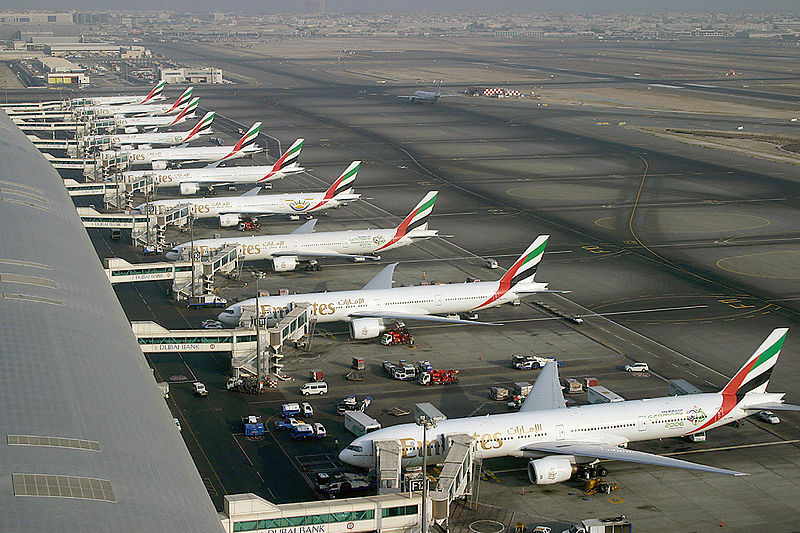 I know it will never happen, but I would love to get a peek behind the curtain at a big international airport like Dubai. I can only imagine the systems that exist in such a facility. How about you? Have you seen inner workings that have amazed you? Is there any place where you'd like to get the backstage tour? I haven’t had much of an opportunity to see behind-the-scenes, but I did once watch a Broadway play from backstage . . . so interesting to see the goings-on that the audience never sees. In the same vein, many years ago I had the opportunity to visit the set and watch a rehearsal and taping for a daytime show and that, too, was quite an eye-opener. But the Disney behind-the-scenes sounds so interesting . . . I’m definitely putting it on my wish-to-do list. I am tempted by a backstage Disney tour, but not sure I want to have the magic ruined for me. I go back and forth on that one. In that case, I will definitely consider it. Thanks for the insight. 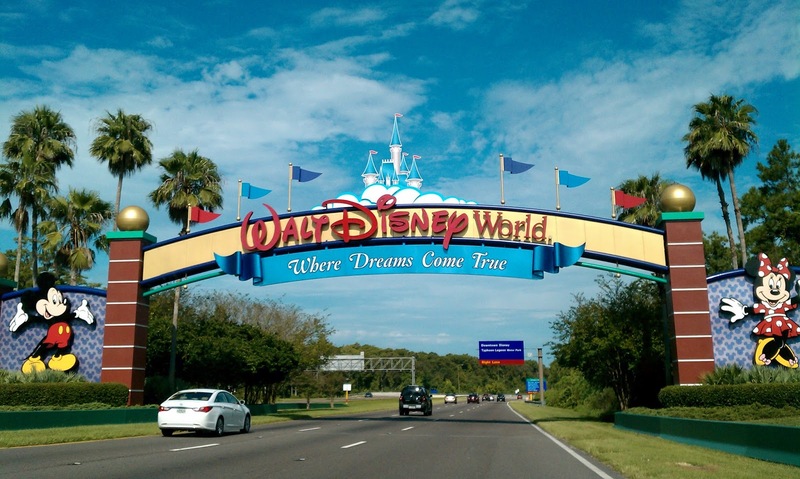 Behind the scenes at Disney - I've read about it, and it's intriguing. I worked for Miami City Ballet in the mid 1980s and had an intensive behind the scenes look at a dancer's life, touring, and what goes into performances and staging. Seeing how the sausage was made did not detract from the enjoyment or excitement, but it did give me a greater appreciation for those that do it well. I went on the behind-the-scenes tour at a local historic mansion (the Crane estate in Ipswich). We went where the staff went - into the secret back staircase, the maids' quarters, the scary-looking old elevator to the basement, the scullery. It was fascinating. The Crane Estate is beautiful. It would be fascinating to see the "downstairs" part of it! It was, and of course I set a couple of scenes there (in the "downstairs" areas) in my second novel. When I was on assignment working with another Canadian department called Emergency Preparedness Canada, I attended a FEMA conference in Colorado Springs, CO. One of the optional conference activities was an inside tour of the NORAD facility. All I knew about NORAD was the acronym. We got a tour of how/what was being monitored in great detail. This was before 9/11, so I don't know if they allow this type of civilian access now. I have a friend who toured NORAD many moons ago and said it was fascinating. I can't imagine you could do it now. What a unique experience, Grace! I don't know that there is really anything that I want to go behind the scenes to see how it is made. I've been backstage at a concert before and believe me, it is all rather boring. Sure, I met some of the members of my all-time favorite band but it wasn't like there was anything exciting going on with them other than simply getting ready for the show. I'm happy with just waiting for the finished product to come to life. Y'all know I live backstage, right? It's my favorite part of any show. My job is to pull all the pieces together and make sure all the gears mesh and the skids are greased so when my musicians go onstage all they have to worry about is being the brilliant musicians they are. That said, I am fascinated by the way other organizations handle their show prep. I have been particularly impressed by the United States Army Field Band. They've got it down. They will tell you exactly when each bus will arrive, precisely what they need onstage, and when they get there the show goes on, whether they're in a major concert hall or some tiny high school gym. Such pros! One of the more interesting backstage experiences I get to enjoy each year is preparation for the State Fair of Texas. My office is in Fair Park, which is pretty quiet nine months of the year. Then, in early August--the hottest, most miserable time of the year in Texas--the crews come in and the prep starts for the big show. Over the next six weeks buildings are cleaned and buffed up, massive landscaping efforts make the fairgrounds shine, and the dogs move into our building and start training for their animal act. By Opening Day, the oil in the corny dog fryers is fresh and the carousel is out of mothballs, ready to enchant a new generation of children. It's the best part of the show for me. I love your description of the fair prep, Gigi. Did you learn any tricks from the Army Field Band that you've incorporated into your own work routine? A friend worked years ago at the Museum of Natural History in Manhattan as an exhibit maker and gave me a partial "backstage" tour. The place is just too enormous to see everything. It was fascinating seeing where she worked making and repairing the items that were used in the exhibits and also seeing some of the basement storage rooms where they store the items that are not on display. I wonder if they really know everything that they have there. Many years ago I went behind the scenes at Disney, too. It was fascinating! I've sorta always had an idea for a mystery that takes place there. Lots of possibilities. I think my favorite behind-the-scenes experiences happen when we are at our local theater watching Met Live. During intermission, we are taken back stage to watch the scene changes, and this is beyond impressive. I can't even imagine how it is orchestrated.There are "trains" on tracks to more the big pieces, and scenery comes up from below, down from above, and slides onstage from either side Talk about choreography!. My personal experience in the operating room would be an eye-opener for most of you. There is a banter, sometimes a gallows humor, that is terribly funny and often inappropriate. It is sometimes the stuff of which law suits are made. I think this is needed to decrease the tension, and there is always tension, even in routine stuff. Because when a case goes south, it goes south. My funniest experience was circulating a bowel resection on a gentleman who'd been shot in the belly. The anesthetist was very good at waking his patients up just as the last stitch went in. So the guy on the table was mumbling as we were finishing. I was trying to comfort him as he called out for his wife, assuring him that as soon as he got to recovery, he could see her. But nothing I said seemed to help, and he was visibly upset. I found out the next morning that his wife was the one who shot him. Wow, that must have been weird, Ann. That's hilarious, Ann. He probably thought he was having a nightmare with an evil nurse! I love Pike Place, and I confess, I've only been there when it was teeming with people. Backstage! That's where I'd love to be. I grew up with parents who wrote Hollywood movies so I got to go on the sets of quite a few. As I result I notice when the backdrop of a movie scene is painted versus real. But having been on a movie set I know watching a movie get made is like watching pain dry. SO SLOW. And now do-over do-over do-over. When my daughter was an intern at the NY Historical Society in Manhattan she took me up into their attic where they store amazing collections. Much of it gathered off the streets of NY at historical moments. Most heartbreaking was a chain link fence loaded with "missing" posters from 9/11. Mardi Gras World in New Orleans, where the parade floats are made. We learned about design and every phase of construction. I'll bet that's amazing, Margaret! Actually, I forgot to mention that - we used to visit a big float-making place the night before the Rose Parade in California. An amazing sight, and so fragrant from all the flowers! It's such a different perspective! I've been way behind the scenes at Logan Airport, going through all the mysterious doors that say "Restricted" and into the paces where they screen the bags and everything..just a whole new world. And up into the control tower! Which is completely wonderful, fascinating, harrowing, and somehow reassuring. Backstage at the Boston Ballet! (When Jonathan and I were in the Nutcracker, long story!) Everything you'd imagine--the chaos, the quiet, the makeup, the tulle. And once I found myself putting on mascara n preparation for shooting a standup--in the inner sanctum of the Georgia tech nuclear reactor! Now that was weird. WHAT? My comment vanished. Okay, trying again. AH. Anyway. it is such a different perspective behind the scenes! (Come to the newsroom at 5:55 pm and see it first hand!) But I've been way backstage at the airport, through all the mysterious doors marked restricted and prohibited, and into where the bags are screened and the real stuff goes on. And I spent a lot of time up into the control tower! Where it's stressful and harrowing and non-stop--and, strangely, reassuring. ANd backstage at the Boston Ballet, when Jonathan and I were walk-ons in The Nutcracker. (Long story.) It was everything you could imagine--chaos, and quiet, and makeup and the shuffle of toe shoes,and a lot of tulle and ribbons. The control tower would be amazing, but almost eerie, I would think. Someday, Hank, you will have to share the Nutcracker story! I'd love to see the newsroom at 5:55, Hank! ANd oh, I knew my world was skewed when I found myself having to put on mascara to shoot a stand up inside the Georgia Tech nuclear reactor. Never a dull. You reminded me that I was in grade 8 when we went on a field trip to see the Pickering nuclear reactors (1 hour east of Toronto). Three Mile Island accident had occurred shortly before this, so the possibility of a similar accident was top of mind. Well, we were studying different energy sources, so it was cool to go see one up close. But looking back now, I wonder if they would still allow 14 years old to wander/run around a nuclear power plant? Years ago, a friend who is a nuclear physicist took us on a private tour of a nuclear reactor here in southwest Ohio, in Moscow. I have to admit I understood barely anything about it, although my husband was fascinated. When you go to big trade or consumer shows, everything always looks so perfect, with every booth packed with merchandise attractively displayed. But I spent over fifteen years traveling to those things, selling my books and other products in a booth, and teaching one to three classes a day. It's far less glamorous than it looks. Same with retail. I was a dress buyer in the 70's for a local chain (that no longer exists). Behind the scenes in the stores there is no use for fancy, clean, or tidy. It's usually chaos, with racks of newly hung clothing ready for ticketing, and empty boxes everywhere. In New York, going to the garment center was an even bigger eye-opener, because there are two tiers of "behind the scenes". One part is in the showrooms of each resource. Sometimes they were nice, but more often than not they were barely furnished. The second tier was where they brought in their merchandise, and got it ready for shipping. No frills there, at all, just a bustle of constantly moving clothing racks and boxes for stores. And I've been behind the scenes in various manufacturing concerns, some as an observer, and some as a participant. There used to be a made-to-measure tailoring business here in Cincinnati, and I was treated to a tour by the owner, a third generation tailor. That was part of my research for my first book, as were tours of a sportswear manufacturer in the Pacific Northwest, a couple of drapery workrooms, and at least three bridal designers/dressmakers, one of which I worked for. I also spent a summer making banners and flags for the color guards that take the field with the marching band. So much that goes into the design choices: shape, colors, materials and aerodynamics so the flags "fly" in certain ways. Fascinating stuff. I love all this stuff, and would really enjoy seeing the Pike Place Market before it gets so crazy, Ingrid. Thanks for sharing the photos. It never even occurred to me that the color guard flags require such prep! Your comment is a great reminder that pretty much everything requires some degree of preparation, Karen, particularly when it comes to making beautiful things! Where would I like to go behind the scenes? Easy answer -- the Library of Congress. Other than being able to see all the nuts and bolts of how things get done, I'd love to be able to see inside the drawers and cabinets where so much of our historical and literary treasure is kept. It was amazing - part Rube Goldberg machine, part Victorian technology. Everything was either brass and beautiful wood or government issue furniture circa 1952. I'd love to go back and see what and how they've modernized. Back in the day, you had to fill out a paper slip with your book requests and there was some sort of vacuum tube system the librarians would put it in! Julia, I am so jealous! Oh, the Library of Congress would be so awesome to see behind the scenes. Julia, that sounds like a fantastic treat! I did get my Readers card from there just so I could order up some books and sit in the main reading room. 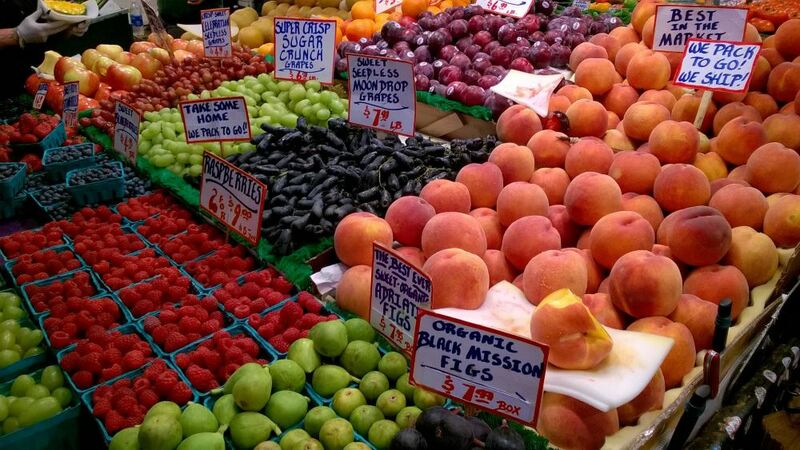 OK, first of all, I loved visiting the Pike Place Market when we were in Seattle. My view of it had come from movies. The way you described it, Ingrid, could almost be a scene from a book (oh, a mystery!! Ha!) - a little bit eerie. I have always wanted to take that tour at Disneyworld. We went there many times when our daughter was growing up, but haven't been back in a long time. I think it would be fascinating and I'm not surprised that they start changing the lightbulbs, etc. when they finish a complete round of them. I've never done "behind the scenes" in a big way, but I've been "behind the scenes" at enough small-scale shows to know that whatever goes on backstage at someplace like Broadway has to be insane! That reminds me that we did a behind-the-scenes tour of the Sydney Opera House. It was amazing, and they let us sit in on part of a rehearsal for the Australian Ballet. That was very cool! Probably my most interesting volunteer experience was on Bouchercon in 2015. I enjoyed meeting with other volunteers, seeing what all the teams were, trying to soak up enough to be useful. Your works sounds like it was frustrating at times, Jim. Assumptions often get us in trouble! My most fun beind-the-scenes have come from researching books. For LEAVE THE GRAVE GREEN, which has an opera background, I got to tour backstage at the ENO (English National Opera)in London. It was fascinating, seeing the way they move and store the sets, and all the huge mechanical equipment. And almost more fun, I got to tour Lilian Baylis House in north London, which is the costume facility for the ENO. I got to see the workrooms, the fabrics, meet the designers, and I got to see the "books" for different shows, which contain sketches of costumes and swatches of fabric. Amazing. That explains your rowing knowledge, Debs! I love "behind the scenes" -- I once did a project with Middle School students on Theater in DC -- we went into many theaters and saw the workings. I saw behind the scenes at Disney World when one of my daughters fainted on Main Street USA. We went through a door and there was an infirmary and characters on break, etc. One of my aunts was a cloistered nun, and when she was quite sick I was escorted into the private area. I had visited that convent since I was a little girl (a great-aunt was also in the order) when there were iron bars between guests and nuns! When I travel, I always go into non-tourist areas like grocery stores, post offices, town halls --- to see the ordinary. Great topic. I'll think about this all day! I love that idea that seeing the non-touristy areas is a form of going behind-the-scenes, Denise Ann. I also love visiting grocery stores; it's fascinating just seeing the different labels and what are considered "staples" in a different place. 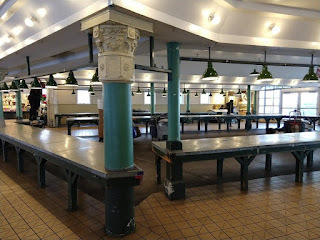 My most recent behind the scenes tour was at Ellis Island "Behind the Scenes Hard Hat Tour" - it was so fun, and the guide was wonderful, she was very informed about everything. The group was small and everyone got to ask their questions. It really make the visit to the island special for me. I would love to do that tour, Pauline. My grandfather's name is on the commemorative wall since he went through Ellis Island in 1906, and it would be fascinating to get insight into what his experience might have been like. I thought about including my Scottish distillery tours in my behind-the-scenes! Going to watch this piece!